Having a bad hair day is one of the worst nightmares for a girl. For me my hair gets frizzy as soon as the humidity hits it. As girls we take time doing our hair. Whether it's straightening, blow drying, or curling our hair it's a little time consuming. So if you're experiencing a bad hair day or feel like you may have one, make sure you have a back up plan for your hair. If you are like me, having a bad hair is pretty normal. So I decided to share with you some hair necessities you should have on hand. These hair accessories are easy to carry around in your bag/purse. You don't necessarily need the hair clips, if you have bobby pins. But if you want to be a little fancy and dress up your hair, the clips are perfect for that. You can create a half up do with either the clips or the pins. The two combs I use for different reasons. 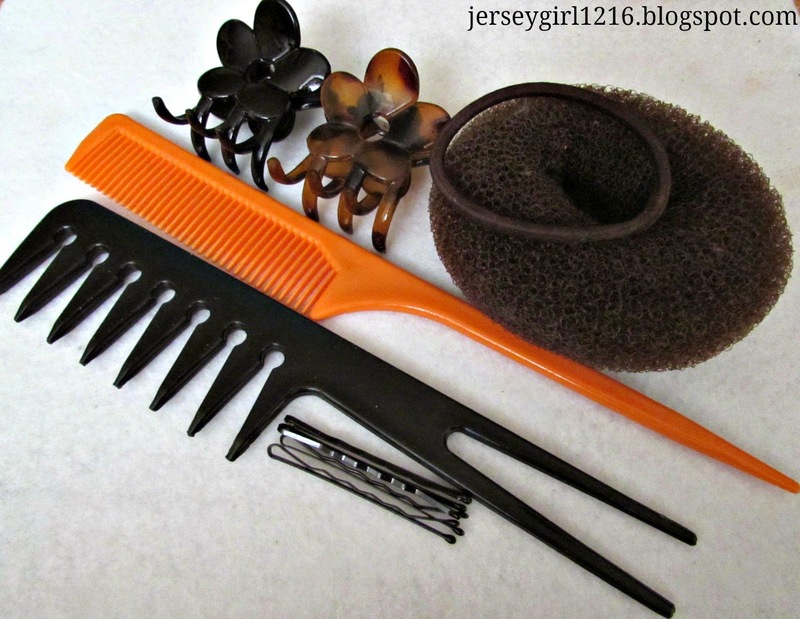 The wide tooth I use to comb my hair regularly and the smaller comb I use to part my hair. Usually people use this comb to tease their hair for volume. I personally do not like teasing, so I use it for parting/ sectioning the hair. The crunchy is every girls #1 because all you have to do is throw your hair up in a pony or messy bun! But depending on your job, you may feel the messy is not appropriate. That's where the donut bun comes in to play. It's perfect for a classy clean look. I hope you enjoyed reading! What are your go to hair accessories, maybe they might help me? MyTop 3 Favorite Youtube Hair Channels!